What is a splenectomy? 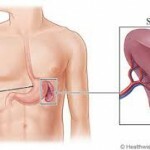 Splenectomy is a surgical procedure in which the entire spleen is taken out. The spleen is fragile, and is the size of a human fist. The spleen sits near the stomach, under the rib cage on the left. The spleen contains white blood cells, which aids in fighting infections, destroying bacteria, and protecting the body’s immune system. 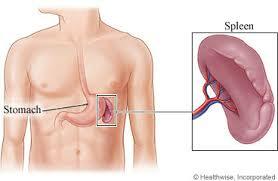 The spleen also aids in the removal, and filtering of old red blood cells. The spleen plays a major part in the platelet count of the red and white blood cell count. A major organ cleans out the immune system and protects it from diseases and foreign objects. So taking out a spleen is a big deal. Does a Splenectomy Require Hospitalization? The hospital stay for a splenectomy may be 2 or 3 days. The actual length of days a patient recovers from this type of operation depends on several factors. The patient has a small tube in the nose leading down to the stomach. This is a precaution in the event of bleeding, because the stomach area may fill up with fluid. The patient is given intravenous fluids and pain medication. The fluid keeps the body hydrated and the pain medication provides relief. As soon as the patient is able to take oral fluids, eat and use the bathroom the patient can go home. The surgeon wants to make sure that all the bodily organs are functioning properly, before discharging the patient. After a splenectomy, patients may have to take it easy, before rushing back into a normal daily routine. Activities like walking or showering is fine, but soaking in the bathtub is not permissible, if it is strenuous. Driving a car is probably not a good idea at this point, at least until the surgery is one week old. Eating a healthy meal is appropriate and recommended.